The new special cutterhead design allows for a smoother host pipe cut and greater protection for the new pipe. Pulled by a hydraulic bursting unit, the cutterhead’s special cutting wheels split the host pipe. 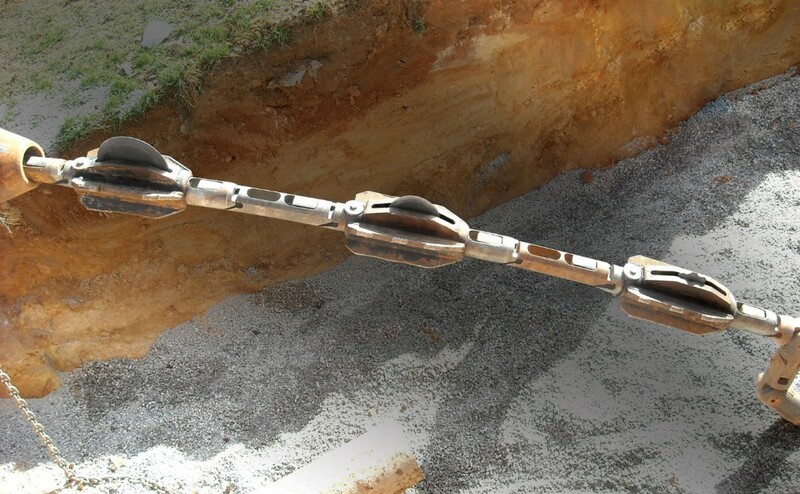 An attached expander spreads and displaces the split pipe into the surrounding soil while simultaneously pulling in the new pipe. The Grundoburst system features Patented QuickLock bursting rods that are linked together not threaded. This saves time, prevents twisting and extends the life of the cutterhead over threaded bursting rods.